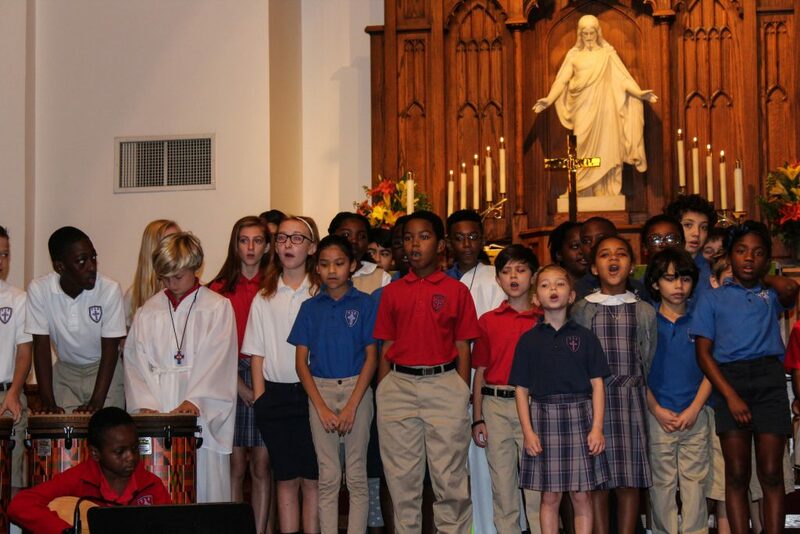 Theater, dance, and chorus all combine for noble adventures in music at Trinity. 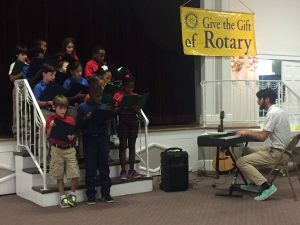 Led by music teachers Mr. Howard and Mrs. Malenke, students not only learn about music, but they get to apply it in performances such as the Mayor’s Tree Lighting Ceremony at Lake Eola and choir concerts at The Rotary Club and Lutheran Towers. 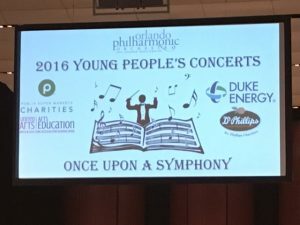 All of this experience is bolstered by field trips to professional concerts staged at the Bob Carr Theater and Dr. Philips Center. Students at Trinity are encouraged to become both artful and appreciative. The music program at Trinity starts in the two-year-old classrooms and grows with our students all the way through 8th grade. The art of music is something beyond music appreciation – out students strive for more. From learning basic rhythms to music theory, students learn how to play musical instruments of increasing complexity by the time they graduate from middle school. All of this is part of our standard curriculum so, every student learns about the noble art of music from Pre-K to Grade 8. 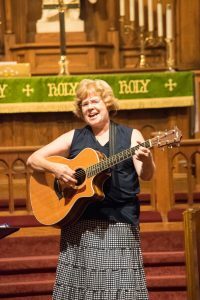 Mrs. Malenke, who also teaches middle school religion and children’s choir, is a talented singer and guitarist who is responsible for chapel planning and often leads worship in our weekly school chapel services. Mrs. Malenke teaches music to some of our youngest students: two’s through Pre-K4, introducing them to a genuine love of music, teaching songs, directing them in chapel performances, and even starting introducing them to note values towards the end of Pre-K4 as they prepare for Kindergarten. Mr. Howard, who teaches Kindergarten through 8th grade music classes, is a talented musician who received his Bachelor’s degree in music composition and piano from Indiana University, leads a local band and has been playing drums professionally since high school. He continues that music education up through 8th grade classes emphasizing skill development and performance opportunities to encourage the growth of Trinity student’s love of music. Learning to read sheet music and singing in a choir aren’t the only options for our students. There are many other after school extra-curricular activities for students to take part in order to further develop themselves are musicians and artists. 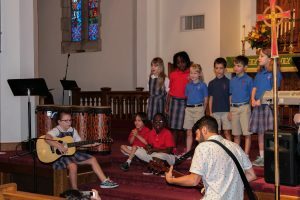 Ms. Joleen leads dance classes for all ages, Mr. Mark gets the pre-kindergarteners rocking to a steady beat in his drum class, and Mr. TJ offers lessons for piano, drums and guitar. As cited above, Martin Luther is quoted as saying that music is one of the greatest treasures in the world. We believe that too! So, no matter what the age, from two’s to 8th grade, our students are exposed to and encouraged to explore the world musically. Please be sure to come out to see their next performance at 5pm on Friday, December 2 where they will sing in the pre-show festivities at Downtown for the Holidays tree lighting event. This free event at Lake Eola includes a food truck bazaar, special holiday vendors, live music, performances and more!